Welcome to the Vigna sul Mar Camping Village, a relaxing oasis ideally situated at Lido di Pomposa in Ferrara. This four-star establishment is a great place to stay during your holidays in Italy. Located a few minutes from the sea, at the heart of the Po Delta Park, the Vigna sul Mar campsite offers you a captivating and peaceful environment, perfect for leaving your worries behind. This campsite guarantees delightful holidays to look forward to! Perfect for having fun and relaxing, the Vigna sul Mar campsite is a great place to stay. On-site you’ll find an aquatic area, a sports field, etc. The campsites mini-club offers a bubble of fun and entertainment for the little ones. Every evening, the village is alive with the sound of fun and rewarding activities: theme nights, concerts, kids dances, etc. 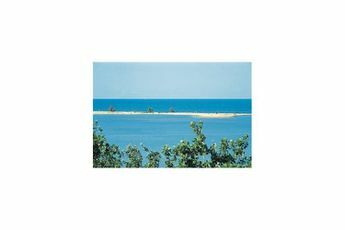 Vigna Sul Mar camping village is located on the Adriatic Coast, in the wealthy Emilia-Romagna region. Lido Di Pomposa is a major tourist stop offering numerous sporting and cultural activities. Jump on your bike and take the 30-kilometre route to the magnificent Po Delta Park with its pine forests and dunes, home to numerous bird species. Don't forget to stop at Comacchio, known as "little Venice" for its canals coursing through the town, and the Bertuzzi Marsh, where you could see herons and pink flamingos.